You Are Here: Home » Around the Web » Capture The Fantasy: Atlantis Rising is $0.99 for a limited time! Capture The Fantasy: Atlantis Rising is $0.99 for a limited time! 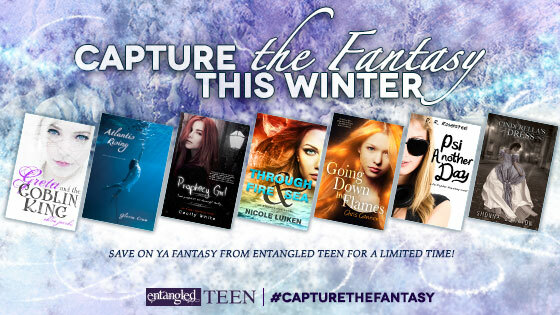 Capture The Fantasy this Winter with Entangled TEEN! Over the next several months, Entangled TEEN has a bunch of brand new fantasy novels releasing on both our print and digital first lines, so we thought that the best way to celebrate these new books was to offer a series of exclusive eBook sales for a short period of time. For the entire month of February, Atlantis Rising, the first book in the Atlantis Rising Series by Gloria Craw, is on sale for $0.99! 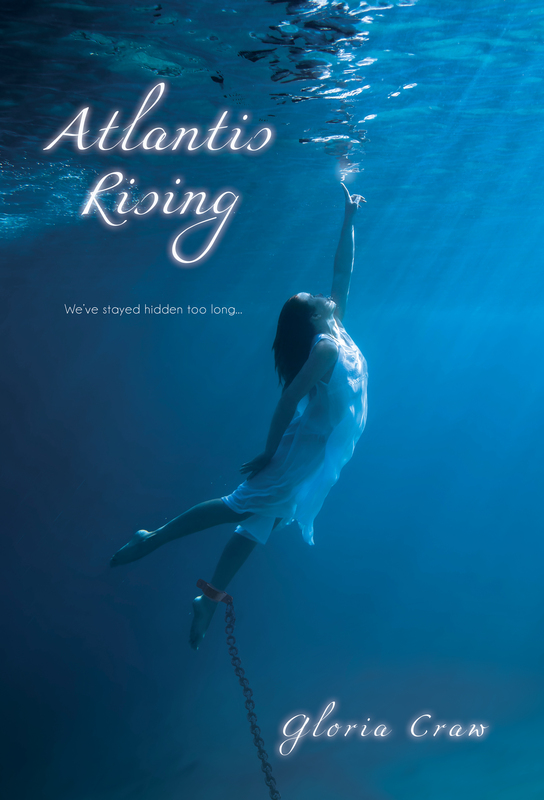 “Atlantis Rising was a surprisingly enjoyable and fresh YA read! The characters were strong, complex, and well developed. Alison and Ian have great chemistry and this is one of the few reads in the YA genre where their relationship seems to take a natural progression. Insta-attraction, but not roll-your-eyes insta-love. Well done. Ian would be another complication. I’d know before Connor pointed him out that we had AP lit together. I’d stood in the registration line with him last week. He was blond, about my height, with a long, strung-out build that told me he was growing upward faster than outward. My younger brother was going through the same kind of growth thing. Ian’s eyes were an unusual color. From across the room, they appeared to be light blue. But up close, there were flecks of green, like the turquoise stone in a Navajo bracelet my mother owned. Judging from the way he’d smiled at me, Ian remembered me from registration, too. And it didn’t give me a warm fuzzy feeling. My stomach churned as I took my paper and unfolded it. “Lord Byron” was spelled out in dark print. Stomach problems stayed with me for the rest of class and got worse when everyone started searching for their presentation partners afterward. I overheard Connor’s exclamation of happiness when he found out he had Keats, the same as Nate Hopkins. Whether Nate was as delighted as Connor, I couldn’t tell. Ian’s cousin, Brandy, was standing close to Michael Larson, their eyes locked on the Post-it note in her hand. Evidently they were partners, too. I repacked my things, trying to figure out how I was going to handle the situation. Nervous energy made me drop my class schedule, and it fluttered to the floor. Annoyed, I bent to get it and then started walking without looking up. It came as a complete surprise when I walked into a soft cotton shirt and the surprisingly strong chest beneath it. Finally, physics class had taught me something I could reference. When two objects collide, the lighter one gets knocked farthest off course. I was the lighter object, and I felt myself careening off balance with no hope of correction. My last thoughts were that my head was in line to collide with the edgy of the desk where Connor had been sitting, and that the chest responsible for the imminent pain belonged to Ian Palmer. Swoon Sunday: Guster James Lowry from A.L. Davroe’s Nexis!